With identical print speed and quality as the iP3600, this MP620 adds a 4800dpi scanner and all the standalone controls you could hope for. It enables quick and easy photocopying and scanning of existing photo prints into your computer, all via an intuitive interface built around a clear 2.5-inch colour LCD. Direct printing from memory cards is also available via a fairly comprehensive range of card-reader slots, plus there's full Wi-Fi connectivity. In common with the iP3600 and iP4600, the MP620 delivers sumptuously warm and lifelike skin tones. Considering Canon only provides three coloured inks, along with two black inks, colour space exceeds expectations, with vibrancy throughout the whole colour range. B&W printing is pleasing, with excellent contrast and tonal detail, along with a refreshing lack of colour casts. All things considered here, any of the three new-generation Canon printers are excellent buys. The reduced cost of the iP3600 will save you some initial outlay, whereas the iP4600 will double your print speeds, but the MP620 is cracking value at around half the price of comparable Epson and HP printers. 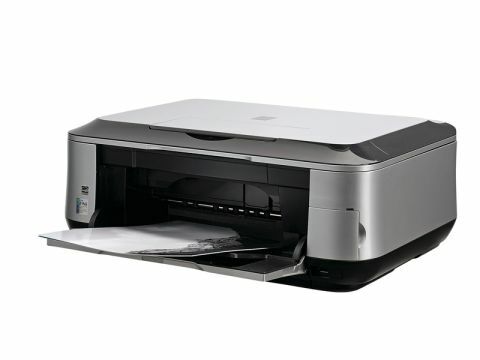 It offers a well-rounded all-in-one printing and scanning solution, complete with Wi-Fi.